You really need to check your facts before writing things like this… The contradiction between quantum theory and classical general relativity has been known for many years and can be demonstrated very easily. Consider a state of matter where all the matter can be found in a region U in spacetime with probability 1/2, or in a region V disjoint from U with probability 1/2. 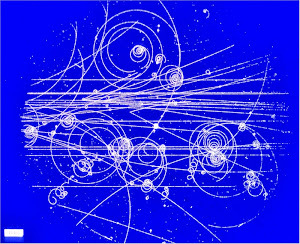 Before we make a measurement, the spacetime metric can be determined by solving Einstein’s equation where the stress energy tensor is found by taking expectation values of stress energy operator in the given quantum state, so the gravitational field will behave like half the matter is in region U and half the matter is in region V. If we now measure the position of the matter, we find that it lies entirely in U or V, and the spacetime metric will change in a discontinuous, acausal way. This shows that classical general relativity cannot be a correct fundamental theory coupled to matter that behaves quantum mechanically. There are two reasons for thinking that a quantum theory of gravity will have observable consequences. First of all, it is widely believed that the strong and electroweak interactions will be unified by a grand unified theory, and the natural length scale at which this happens is only a few orders of magnitude larger than the Planck scale. It is therefore possible that a quantum theory of gravity would play a role in the unification of the strong and electroweak forces. A second reason is that quantum gravitational effects play a role in early universe cosmology. It is not inconceivable that quantum gravitational phenomena which occur in the very early universe will lead to observationally verifiable predictions about the structure of the present universe. No, my facts are correct. There are several Interpretations of quantum mechanics, and some interpretations of wavefunction collapse are contrary to relativistic causality. So there is a conflict in that sense. But that is just a philosophical puzzle, and has no observable consequences. The idea that quantum gravity is going to unify the strong and electroweak interactions into a grand unified field theory is a mystical belief with no scientific foundation. I agree that it is possible that a theory about quantum fluctuations in the early part of the big bang could have some observable consequences today, and gravity could play a part. But surely an effective field theory would suffice, without worrying about any of the infinities that plague the quantum gravity researchers. I’m not talking about any particular interpretation of quantum mechanics or about conflicts with relativistic causality per se. I’m talking about something much deeper than that. The fact is that you cannot couple a classical theory to a quantum theory. Let me explain it in a different way. We know that a radioactive atom can influence Schrödinger’s cat and, in turn, the cat’s gravitational field. It follows that the gravitational field can evolve into the same kinds of superposition states that you have for atoms. 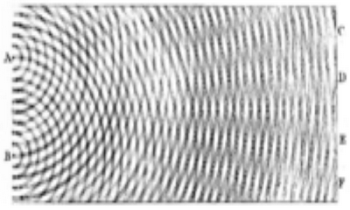 The fact that matter fields are well described by the laws of quantum mechanics implies that you cannot treat gravity as a classical field. We don’t know for sure whether the strong and electroweak interactions are unified by a grand unified theory, but it’s certainly not a mystical belief without a scientific foundation. The unification of coupling constants in the MSSM provides a very strong reason for believing that these interactions do unify at sufficiently high energies. No. In the early universe, you have strongly curved spacetime and extremely high energy densities. In such regimes, you need a full fledged theory of quantum gravity. The Minimal Supersymmetric Standard Model (MSSM) does not provide a reason for anything, as long as it is contrary to the LHC experiments. See Woit for the latest desperate attempts to maintain SUSY beliefs. For all feasible situations, gravity and quantum mechanics work just fine. For details, see Introduction to the Effective Field Theory Description of Gravity. As you say, there can be problems at extreme high energies and short distances, such as in the first 10^-50 (ie, 1e-50) second of the big band when the entire universe was smaller than a proton. I am just guessing about these numbers. Surely, with all the work on quantum gravity, someone has written a paper describing the domain where such a theory would actually be needed. Now how many orders of magnitude outside the LHC is this? So many that it is hard for me to see what this has to do with science. If you’re not convinced by the argument based on gauge coupling unification, that’s fine. It was a minor point. I’m just telling you that there are reasons why people have such high priors for ideas like the MSSM. It’s not, as you say, a mystical belief with no scientific foundation. No, they do not work fine in all feasible situations. In the paper that you cite, the authors discuss an effective field theory where the correction to the gravitational potential becomes large as you approach the Planck scale. I would not expect such a theory to be useful for studying quantum effects in the early universe. Our theories break down when the universe was around 10^-43 s old and distances on the order of 10^-35 m become important. This is obviously well outside the range of distances we can study at the LHC. But I thought we were in agreement that quantum phenomena from this epoch could have an observable effect on the structure of the present universe? Every time the accelerators increase power by a factor of 10, they discover new physics. So you say that gravity is going to break down the model after about 20 more factors? I think that about 20 other things will break down first. Even at high enough energies for gravity to be relevant, I am not so sure that we would need a truly renormalizable theory. First order gravity effects should be easy. I suspect that we would have to goto a few more orders of magnitude higher energies before quantum gravity theories could be distinguished. I agree that it is theoretically possible that quantum gravity could have some effect on the observable distribution of matter or energy in the universe. But if you believe that there are dozens of unobserved super-symmetric particles, then don't you think that they will have a bigger effect? I think that any test of quantum gravity is farfetched.